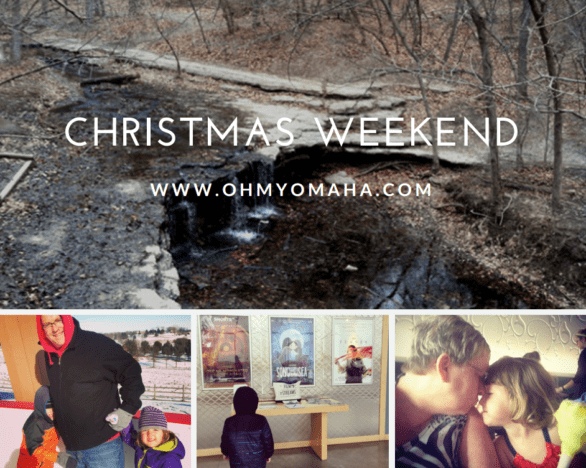 If you’ve pinned and revisited my lists of December events and the HUGE list of holiday events, you’ll notice that there aren’t a whole lot of things open on Christmas Weekend in Omaha. Maybe that’s an obvious statement? 1. Dine out. 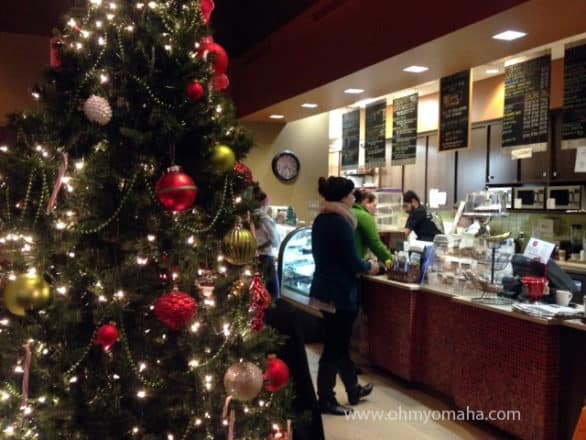 Here’s the Omaha World-Herald’s big list of restaurants open on Christmas Eve and Christmas. We’ve ate at Jaipur on Christmas last year to celebrate my dad’s birthday. It’s a local Indian restaurant with delicious and their own beer (get the jalapeno beer). Where do I recommend going with kids? I’m a sucker for Salt 88 and the after-dinner cotton candy. My kids are recent fans of the desserts at Delice European Bakery. 2. Movie time. Go local and see “Moana,” “Rogue One” or “Sing” at Aksarben Cinema or “It’s a Wonderful Life” or “The Eagle Huntress” at Film Streams (both theaters open all weekend). 3. Get outdoors. 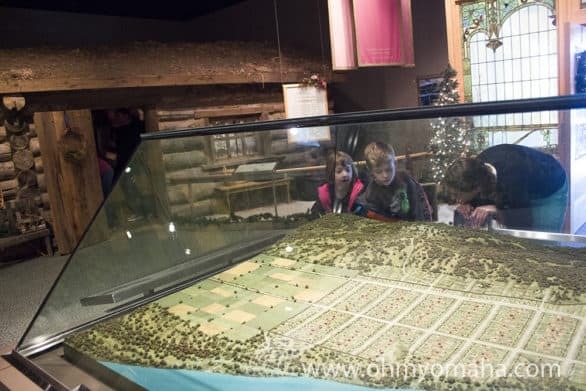 There are a couple great state parks nearby for families to explore over the weekend. Layer up and head outside! Two I recommend: Mahoney State Park (read my guide to winters there) and Platte River State Park (find the waterfall!). Not all of the facilities will be open, likely, but the fresh air and scenery will be a nice change of pace. Please, share your ideas in the comments! Want a couple more ideas? 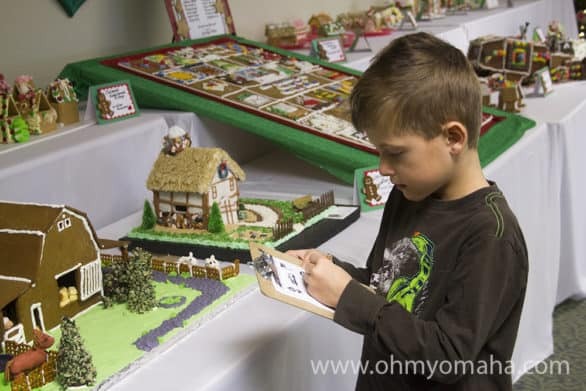 Head over to Family Fun in Omaha for some more fun things to do in Omaha. There are holiday lights and then there’s the Holiday Lights Spectacular. In its third year, this is beginning to be a holiday tradition in Omaha and would you believe it, this is the first year I caught a full show? Midtown Crossing invited my family down to see it (and grab a treat) and I’m glad we went! A still photo of the Holiday Lights Spectacular only hints at the whole production. There is music and a light show. You can’t help but get into the holiday spirit with the pretty show. There’s Christmas music accompanying the light display projected on the buildings. If it’s a cold night – and, boy, was it when we went – you can watch from the comfort of your car (you just can’t hear the music well). The festively decorated interior of Delice, a European bakery in the heart of Midtown Crossing. We topped off our night with some baked treats from Delice, one of my favorite bakeries in Omaha. 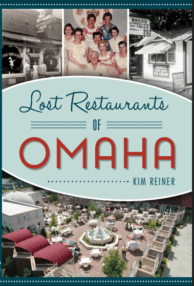 It’s located right in the heart of Midtown Crossing. 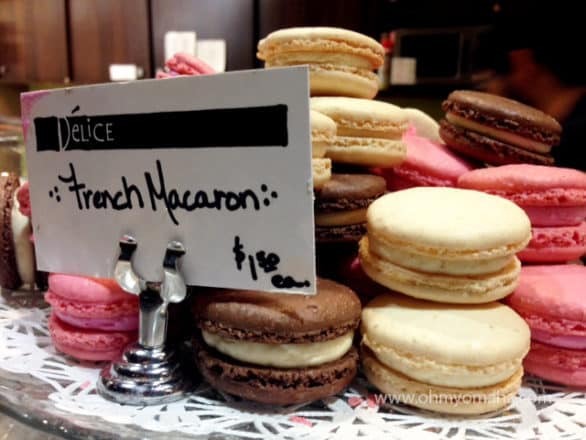 Try the French macarons! Hot cocoa is served there, too, which can be topped with homemade marshmallows. We sampled cookies, a mint brownie and the macarons during our feast. My favorite, as well as Mooch’s, was the macarons. Every year, Midtown Crossing holds different events that add to the festivities of the light show. 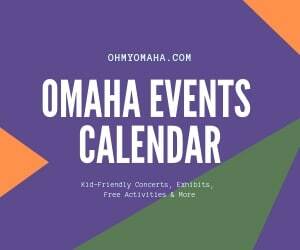 Here’s a list of this year’s events. They had a featured nonprofit each week, where a representative flipped the switch for each show and retailers collected donations for them. 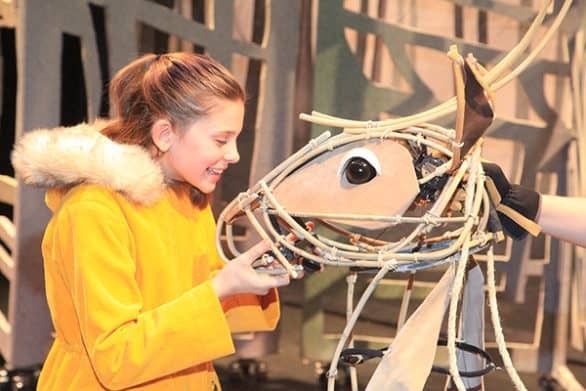 You’ll have to pay attention to next year’s dates – they always have a FREE family fun day. Disclosure: I was provided a gift card for the hot cocoa for sharing details about the Holiday Lights Spectacular. I was not compensated for this post in any other manner. All thoughts and opinions expressed are my own. 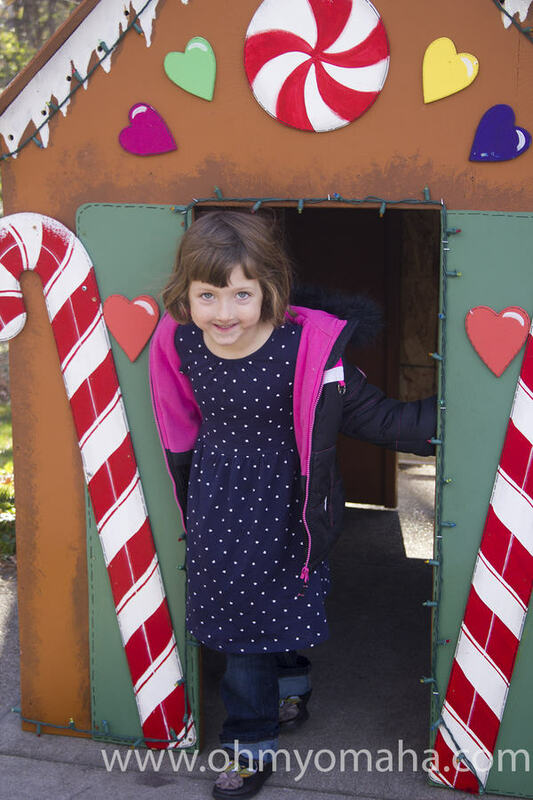 This time of year is so busy, with so many great events planned just for families. 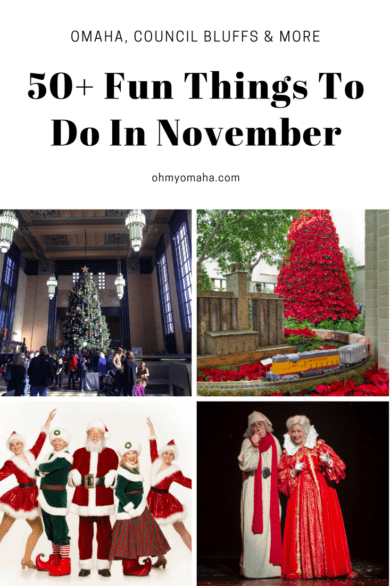 Check out my huge list of fun things to do all month long here. 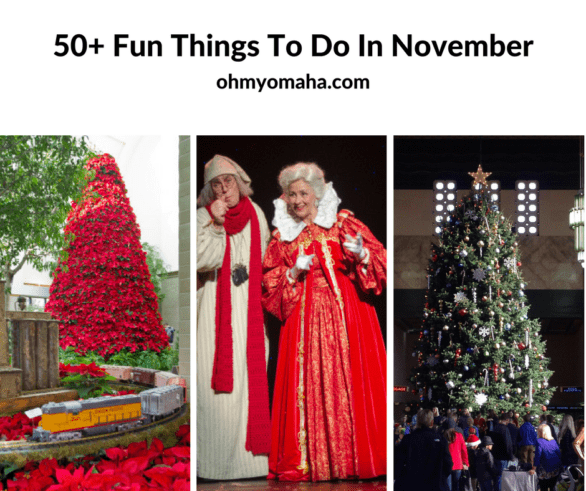 From that list, I picked three fun things to do this weekend with the kiddos. 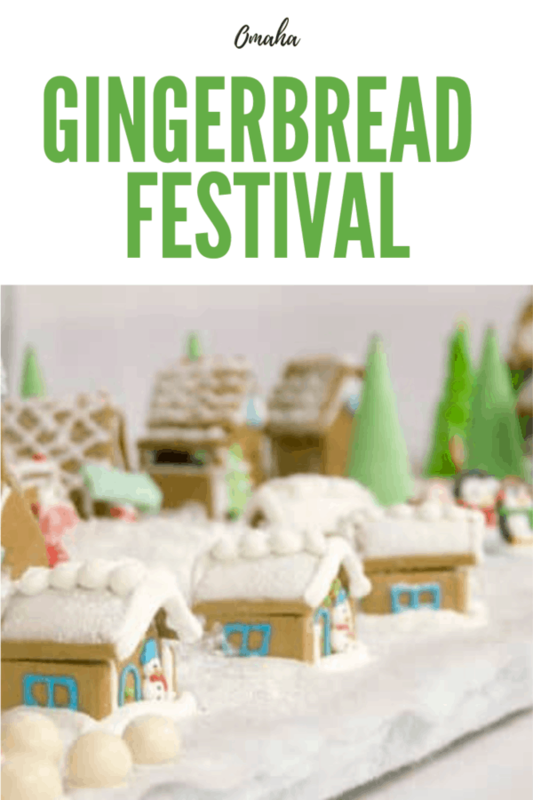 You can make FREE gingerbread houses, you can splash around the pool with inflatables, or take in a charming Christmas play. When: Friday, 4 to 7:30 p.m.
Why: Your kids have so much energy being cooped up indoors, you need to take them somewhere to work it all out. Why: You remember the movie growing up, right? 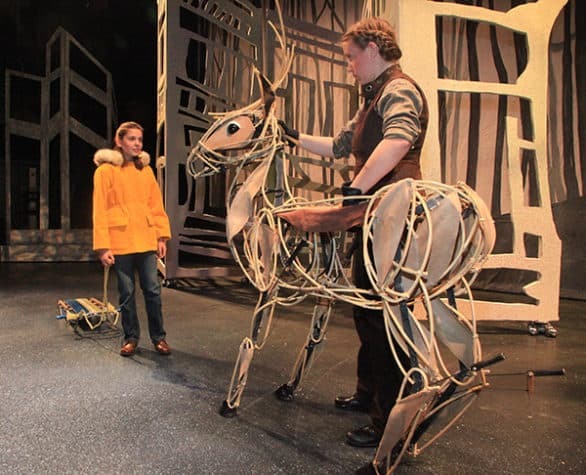 Now it’s time to share the magic of one special reindeer with your kids. 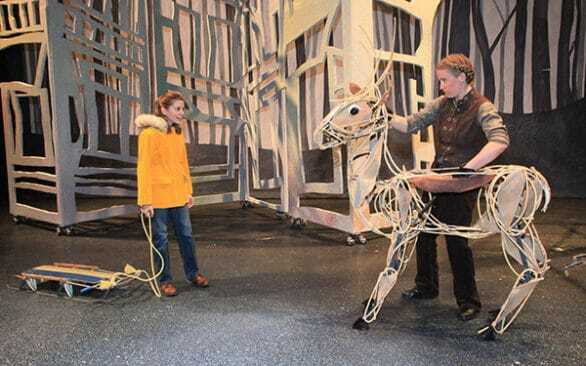 Plus, there is some real theater magic going on in the show. 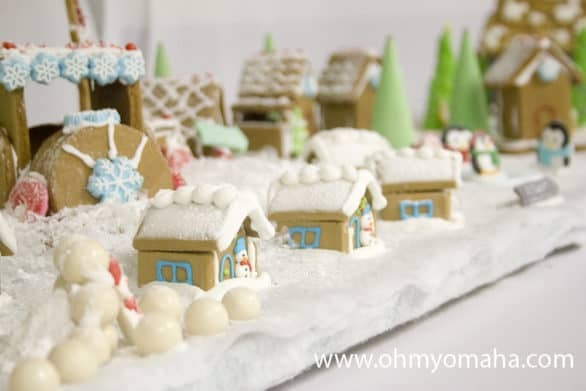 Want Christmas-y events? 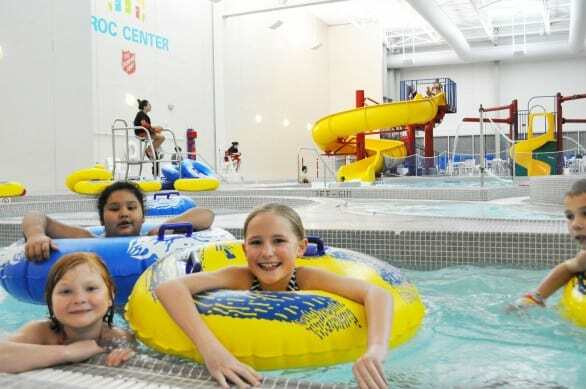 Find all that you could ever need at Family Fun in Omaha – she’s got you covered! Don’t miss out on any fun! Stay in the know – subscribe to the FREE weekly e-newsletter sharing giveaways, new posts and updates to popular posts like this one! Subscribe here.